The ROG Strix GeForce RTX 2060 is the brand’s top of the line variant, featuring several familiar features. For a start, it comes with built-in RGB LEDs that can be customised via ASUS’ Aura Sync lighting software. Physically, the card sports the same three wing-blade 0dB fans, which remain static until the card reaches a certain temperature. Additionally, the card also comes with a metal backplate, adding rigidity to the card’s overall structure. 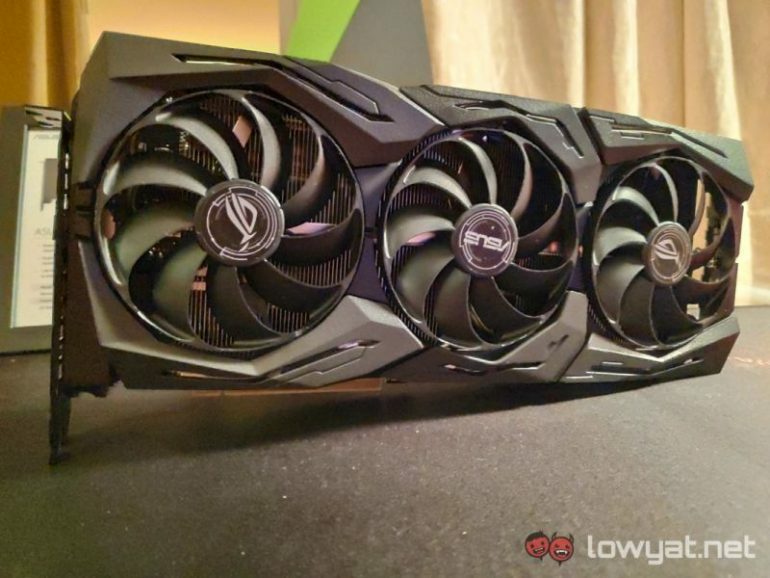 Next on the list, the Dual GeForce RTX 2060 sports a simple two-fan design, and is clearly aimed at gamers who simply desire a graphics card that serves its purpose. With none of the extra added RGB LEDs. The card also comes with a fairly large heatsink attached to the Turing GPU, which in turn is cooled by the aforementioned dual 0dB fans. Lastly, the Turbo GeForce RTX 2060 features a blower-style, single fan cooler shroud. Designed for gamer who are seeking a low overhead graphics that is also ideal for building a multi-GPU setup within a compact casing. 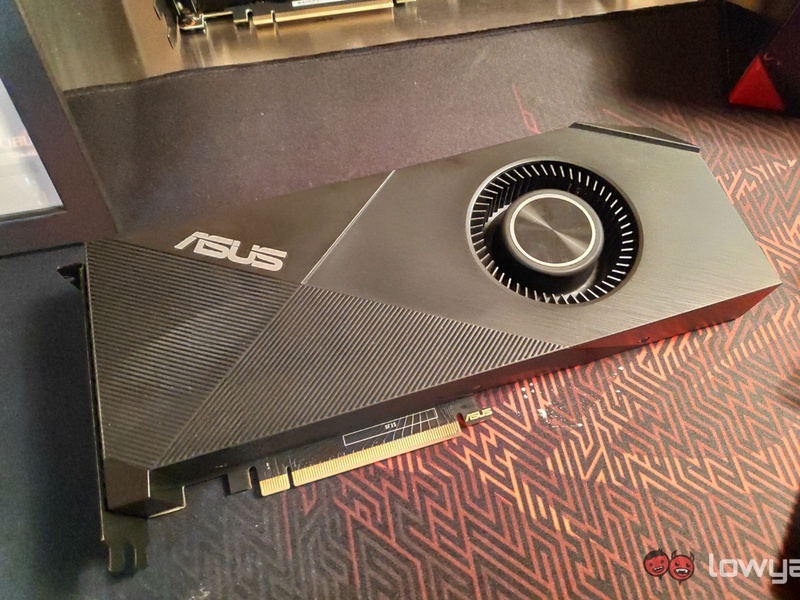 All three variants of the GeForce RTX 2060 come with 6GB GDDR6 graphic memory, spread across a 192-bit memory bus. In terms of power requirements, the ROG Strix GeForce RTX 2060 is the only variant that requires one 8-pin and one 6-pin PCIe power connector to run. The other two will only need a single 8-pin PCIe power connector. 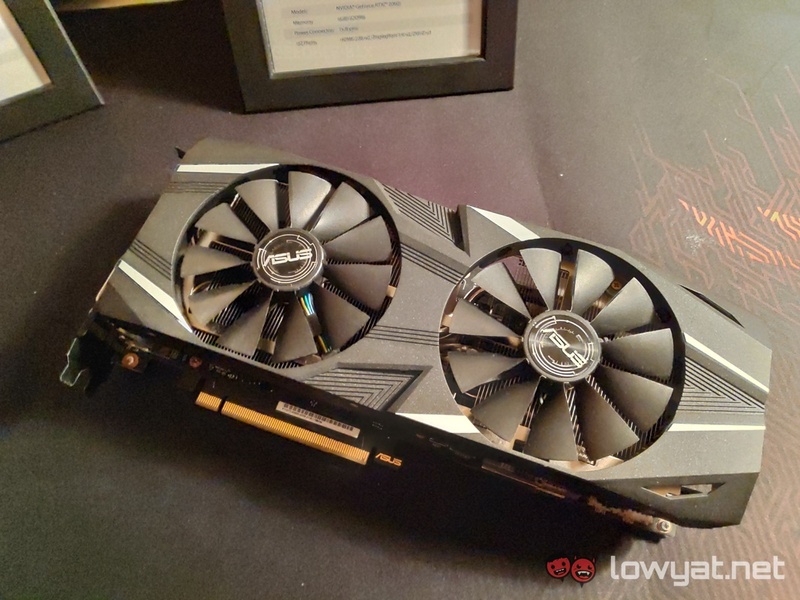 The ASUS ROG Strix GeForce RTX 2060, Dual GeForce RTX 2060, and Turbo GeForce RTX 2060 will be launched after the NVIDIA embargo of 15 January this month.